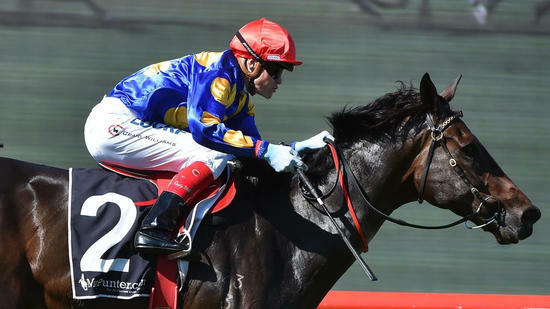 Trainer Doug Harrison is hoping a city double at Sandown will be the advertisement to attract new clients to his stable. Harrison scored race-to-race wins on Wednesday with Judge O'Reilly and Search Squad, both ridden by his nephew Craig Williams. The Cranbourne-based horseman says he can't remember his last city double, but in the time since has seen his numbers tumble. Never a large-scale trainer, Harrison had 25 to 30 horses in work but recently that number has plummeted to a dozen. "There's not a lot of horses there so hopefully people will come knocking," Harrison said. "It's a matter of trying to get horses and buying young horses is what you need. "It's like a football team, you have to keep on changing them over. The hardest part is buying the yearlings and finding owners to sell them to. "You've got debt over your head all the time and you get a bit sick and tired of it." Harrison has been in good city form recently, producing Argyle Belle, also ridden by Williams, to win on February 27. Williams said it was a great result to ride a double for his uncle after Harrison joked Williams was not the easiest jockey to book. "He's got my manager's number," Williams said. "I'm pretty sure if he rings up for these two again I don't think it will be too difficult to book me. "I was well supported by the family when I was starting out and to get a city double is a big thrill." Williams later went on to win aboard Manning Road giving him his 50th city winner for the season and a seven-win lead over suspended Damien Oliver.